You can test your pH levels in the privacy of your own home. To do this, you will need to purchase pH paper, or litmus strips, from your local health food store or pharmacy. There are two at-home methods for testing: saliva and urine testing. The results of urine testing indicate how well your body is assimilating minerals, especially calcium, magnesium, sodium and potassium. These minerals are referred to as acid buffers and are used by the body to control acid levels. In other words, minerals, especially calcium, alkalinize the body! You can also test your saliva’s pH. However, the pH levels of your saliva can fluctuate more than urine levels throughout the day, and are therefore a bit less accurate. Before we continue, you need to know that a urine test only reflects the food or drink you have recently consumed or, in the case of first-morning urine, the work your kidneys have done the night before in buffering your body’s acids. This is an important distinction, because urine testing is only an indicator of your overall body’s pH range. In other words, certain parts of your body require a more acidic level, while others necessitate a more alkaline level. The most important level, however, is the blood pH, which needs to remain slightly alkaline, as we mentioned before. Your physician can draw blood for a more accurate and comprehensive pH test if you prefer. For most of us, though, urine testing is a very adequate way to gauge your body’s pH levels. Morning urine tends to be more acidic than any other time of the day. If the first urine is not acidic, it can be a sign that acids are remaining in the body because the kidneys are not flushing them out properly. Therefore, ideally, you want your first-morning pH between 6.5 – 7.5 with an occasional, albeit not regular, higher reading. This reading range indicates that your overall metabolic pH is slightly alkaline and that the small amounts of acids that build up from normal metabolism are being properly excreted. If, however, your morning urine reading is below 6.5, than you need to make some changes to begin alkalizing your diet. Before we begin… BE CONSISTENT! Do not think that eating all the right foods for a week or two and then resuming your old eating patterns is going to permanently negate an overly acidic system, these diet changes require lifetime commitment. Also, BE PATIENT! It has taken you years of improper nutrition to develop chronic acidosis and any health conditions related to acidosis. It will take some months, if not longer, of hard work to get your body’s pH balance within a healthy range again. The good news is you will most likely begin to feel the effects of a properly alkalized diet within days. Finally, recall that acidosis is a prime indicator of a mineral deficiency. However, it is important to note that both vitamins and minerals are micronutrients, and need to work together for optimal cell health; while our bodies can manufacture some vitamins on its own, minerals must come from our diets or supplements. Why? Because minerals originate from the Earth and cannot be created by any living plant (or human). Conversely, plants, though not mineral-makers, do get their minerals from the soil. Therefore, what minerals we consume from our diets alone come directly from plant sources, and indirectly from animal sources. The first step to properly balancing your pH is to buy yourself a notebook. Keep a journal of your morning and daily pH readings, as well as all of the foods and drink you consume. Use one piece of paper for each day. Note the date at the top, and the times of each entry. It is also important (and motivating) to note how you feel. How you feel after consuming food or drink is an important indicator of the rightness of the food. For instance, food should never leave you feeling tired. You should feel energized, awake and alert. In addition to your first-morning urine test, the second step is to take several pH readings throughout the day. Depending on what you eat, these frequent readings may vary. However, slightly alkaline readings are a good sign. Record these findings in your journal. The best rule of thumb is to test 2 hours AFTER a meal, or ½ hour before a meal. The third step to balancing your pH is to eat at least 70% of your foods from alkaline sources, and the other 30% from acid sources. 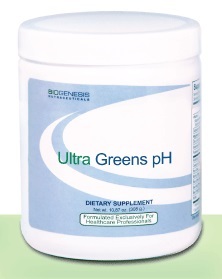 Some stricter adherents to pH diets recommend an 80-20% ratio of alkaline/acid consumption. You will be able to determine soon enough what works and what doesn’t. Remember: your body will give you the very best feedback! Some examples of acidic sources include: red meats, chicken, fish, poultry, whole grains, soda, caffeinated beverages. Whereas alkaline sources include most all: vegetables, fruits, some nuts, lentils, chickpeas, sweet potatoes, etc. The fourth step to follow is eating plenty of raw fruits and vegetables. Most foods lose much of their minerals and nutrients in the cooking, baking and frying process. So, whenever possible, eat them raw. Fruits may seem contraindicated, given their obvious acidity; however, it is not the acidity of the food outside of the body that counts, rather it is the alkalinity of the residue left after the digestive process has used up their acidity. Oranges, lemons and limes, for instance, are some of the most alkalizing foods you can consume.